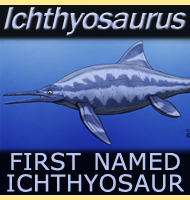 Named By: Richard Owen‭ ‬-‭ ‬1841. 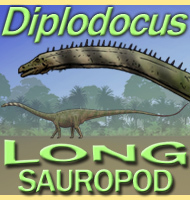 Synonyms: Liopleurodon rossicus,‭ ‬Plesiosaurus giganteus,‭ ‬Plesiosaurus recentior,‭ ‬Spondylosaurus,‭ ‬Stretosaurus,‭ ‬Strongylokroptaphus‭ . 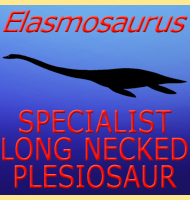 Classification: Chordata,‭ ‬Reptilia,‭ ‬Sauropterygia,‭ ‬Plesiosauria,‭ ‬Pliosauridae. Species: P.‭ ‬brachydeirus‭ (‬type‭)‬ P.‭ ‬funkei,‭ ‬P.‭ ‬kevani,‭ ‬P.‭ ‬macromerus,‭ ‬P.‭ ‬portentificus. Additional species include P.‭ ‬brachyspondylus,‭ ‬P.‭ ‬carpenteri,‭ ‬P.‭ ‬macromerus,‭ ‬P.‭ ‬portentificus,‭ ‬P.‭ ‬rossicus and ‬P.‭ ‬westburyensis though these are not always recognised as valid. 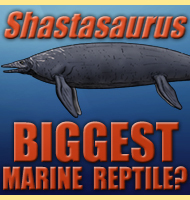 Size: Some species up to‭ ‬10‭ ‬meters long, with‭ ‬skulls approximately‭ ‬2‭ ‬meters long. 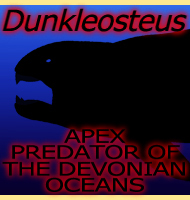 Largest species,‭ ‬P.‭ ‬funkei estimated at between‭ ‬10-12.8‭ ‬meters long. Known locations: England‭ ‬-‭ ‬Kimmeridge Clay Formation, and Norway, Svalbard, Spitsbergen. Possibly also France, Poland and Russia, depending upon the validity of all species. 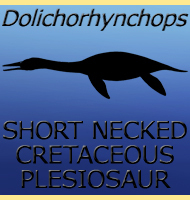 Originally described as a species of Plesiosaurus, this was the first pliosaur ever named which is why Pliosaurus is used as the type genus of the Pliosauridae.‭ ‬Related to the long necked plesiosaurs the‭ ‬pliosaurs adapted to fill a range of different predatory niches with some like Pliosaurus itself being hunters of other marine reptiles.‭ ‬Such prey preference is indicated by the large teeth as much as thirty centimetres long and jaws which would have been okay on small prey like fish,‭ ‬but devastating against large prey like plesiosaurs,‭ ‬ichthyosaurs,‭ ‬smaller pliosaurs and quite possibly giant fish such as Leedsichthys. 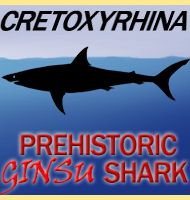 Because of its long history a large number of remains under many different species have been attributed to the genus,‭ ‬but the list of valid names has now been greatly reduced as a result of more intensive study of the fossils.‭ ‬The earlier attribution of fossils under multiple species names is known as the wastebasket effect,‭ ‬and is something that happened to almost all early discovered prehistoric creatures including the plesiosaur Plesiosaurus,‭ ‬the dinosaurs Megalosaurus and Iguanodon,‭ ‬as well as the pterosaurs Pterodactylus and Rhamphorhychus. Special note upon Pliosaurus funkei,‭ ‬a.k.a.‭ ‬Predator X.
In‭ ‬2006‭ ‬highly fragmentary remains of a marine reptile were found,‭ ‬and in‭ ‬2008‭ ‬an effort began to recover the fossils from the island of‭ ‬Spitsbergen in the‭ ‬Svalbard archipelago.‭ ‬These fragments numbered around‭ ‬20,000‭ ‬pieces in number,‭ ‬and took a long while to piece together,‭ ‬though like a‭ ‬3D jigsaw,‭ ‬they slowly came together to form a particularly huge pliosaur that was subsequently dubbed 'Predator X'.‭ ‬Predator X quickly caught the attention of the news and popular science media,‭ ‬and was even a focus animal in an episode of the well-made dinosaur documentary series Planet Dinosaur,‭ and ‬all before this individual had even been granted an official binomial name.‭ ‬Today,‭ ‬Predator X is known within scientific circles as Pliosaurus funkei which is the official descriptive name for this pliosaur that was granted in‭ ‬2012. 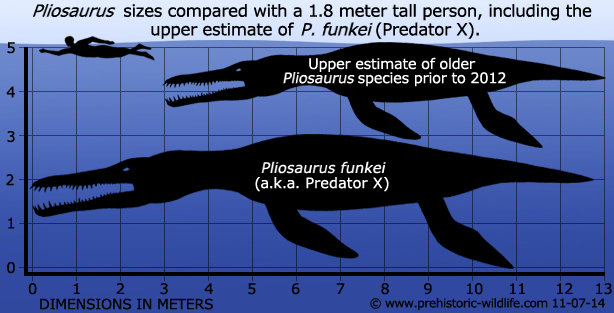 When P.‭ ‬funkei was still only known as Predator X,‭ ‬it was initially thought to have possibly been as much as‭ ‬15‭ ‬meters long.‭ ‬Now that the fossils of this pliosaur have been reconstructed more,‭ ‬studied and identified as a species of Pliosaurus,‭ ‬more accurate reconstructions have now been put together.‭ ‬This has seen the speculated size of Predator X,‭ ‬now as Pliosaurus funkei,‭ ‬estimated at somewhere between‭ ‬10‭ ‬and‭ ‬12.8‭ ‬meters long.‭ ‬Unfortunately this revision has still gone unnoticed by some who still credit individuals as being‭ ‬15‭ ‬meters long,‭ ‬in a similar manner to how another pliosaur named Liopleurodon‭ ‬is‭ ‬still being credited as being‭ ‬25‭ ‬meters long‭ ‬by some‭ ‬even though the largest known specimen is a little over‭ ‬6‭ ‬meters in length. 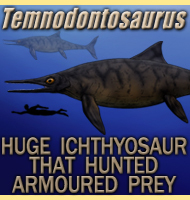 At the time of writing the only known fossils of Pliosaurus funkei include a partial skull,‭ ‬a flipper and a few additional post cranial remains such as vertebrae.‭ ‬These remains are what were used to establish the new size ranges for this pliosaur,‭ ‬though it is quite conceivable that should‭ ‬a second specimen ever be found the size range may be revised to be smaller,‭ ‬or even a little larger to what it currently stands at.‭ ‬Even at ten meters long,‭ ‬however,‭ ‬P.‭ ‬funkei will still be comparable to other large species of Pliosaurus,‭ ‬as well as other large‭ ‬pliosaur‭ ‬genera such as Kronosaurus and Brachauchenius.‭ ‬Like with its relatives,‭ individual P.‭ ‬funkei would have been specialised predators of other large marine organisms. - Two new pliosaurs from the lower Volgian tier of the Volga region (right bank) - Doklady Akademii Nauk SSSR 60:115-118 - N. I. Novozhilov - 1948. 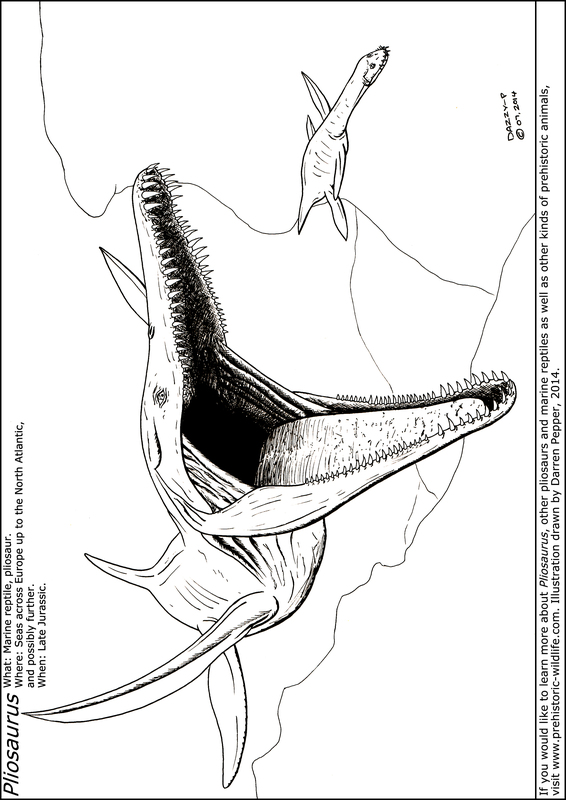 - A review of Upper Jurassic pliosaurs - Bulletin of the British Museum (Natural History), Geology Series 14(5):147-189 - L. B. Tarlo - 1960. 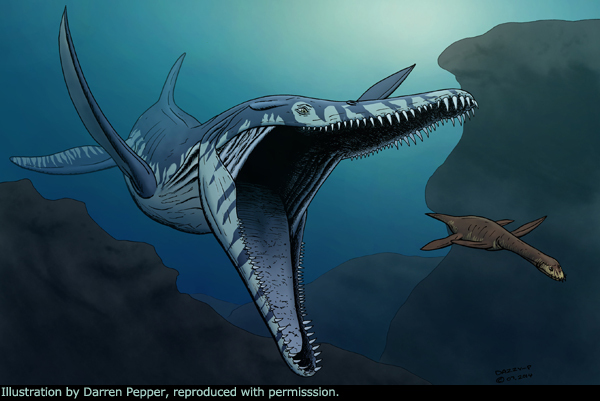 - A new species of Pliosaurus (Sauropterygia: Plesiosauria) from the Middle Volgian of central Spitsbergen, Norway - Norwegian Journal of Geology 92 (2–3): 235–258 - Espen M. Knutsen, Patrick S. Druckenmiller and J�rn H. Hurum - 2012. 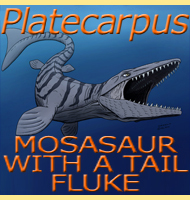 - A taxonomic revision of the genus Pliosaurus (Owen, 1841a) Owen, 1841b - Norwegian Journal of Geology 92 (2–3): 259–276. - Espen M. Knutsen - 2012. 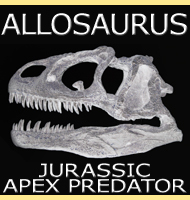 - A giant pliosaurid skull from the Late Jurassic of England - PLoS ONE 8(5) - R. B. J. Benson, M. Evans, A. S. Smith, J. Sassoon, S. Moore-Faye, H. F. Ketchum & R. Forrest - 2013.